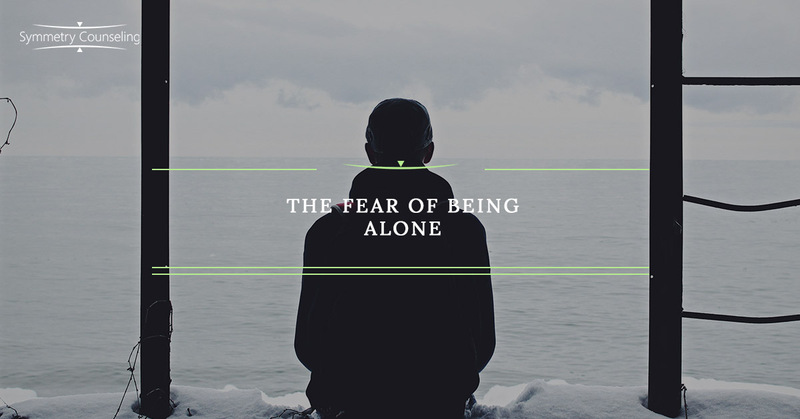 In my time as a therapist, I have encountered many individuals who fear they will be alone and single forever; a feeling that often keeps them involved in unhealthy relationships. Why is being alone and without a partner scary to so many people? For starters, the feeling of loneliness isn’t pleasant. Loneliness has been clinically defined as an emotional state in which a person experiences a powerful feeling of emptiness and isolation that leave individuals feeling insecure, anxious, depressed, and empty. Most people have experienced loneliness at some point in their life, and many times it is so painful we avoid feeling it again. But don’t let this fear of loneliness control your romantic life because studies show it just might leave you feeling alone if you do. According to a study by Spielmann et al. (2013), the fear of being alone and single reflects an anxiety and concern that you will never find a romantic partner. This anxiety is further reinforced through the societal expectation to find a life partner as well as the stigmatization of singles who don’t. For example, you may stay in a relationship that you aren’t happy in because your mother is thrilled you finally found someone, or you may feel insecure because you are always the third wheel with your friends. Their study found evidence in which the fear of being alone and single affects people’s love relationships. They concluded that those who most closely associate happiness with being in a relationship may, out of fear of being single, reduce their ability to find happiness in a romantic relationship. They may settle for people they aren’t really attracted to or who don’t satisfy their needs in the relationship. From this conclusion, we can assume it is important to not let being in a relationship be the root of your happiness. Learning to embrace being single can bring a desirable degree of independence and help you maintain strong intimate relationships in your life. Below are some things areas to focus on if you are both single or in a relationship and are experiencing the fear of loneliness. We are biologically and cognitively wired to love, to be loved, and to belong. When this basic need is not met, we tend to feel sad, hurt, and lost. At any time in your life, it is important to maintain your social connections, friendships, and family relationships. However, it is especially important to keep these individuals close to you when you are afraid of being lonely or without a romantic partner. In romantic relationships, we can tend to hand over our physical and emotional well-being to our partners. Therefore, the risk of being alone increases tenfold because the person you are dependent on is gone. The change begins when you begin to take full responsibility for yourself and your happiness. Once you start taking care of yourself physically, mentally, and financially, the fear of loneliness will begin to dissipate. Spend less time focused on forcing romantic relationships and spend more time working on your relationship with yourself. Engage in time for yourself to learn what you value, enjoy, and cherish. Do you know what makes you happy other than being in a relationship? By taking the time to “get to know you”, you learn what makes you happy and you finally know yourself enough to make decisions that are best for you in your life and in your relationships. If you are currently experiencing a fear of being single and alone and would like support, it may be useful to connect with a therapist. Contact Symmetry Counseling at 312-578-9990 to set up an appointment with one of our very skilled therapists at one of our two Chicago locations.